Cbus has undertaken a significant transformational program impacting structure, process and technology and will continue to grow and adjust work practices as the organisation continues to evolve. In response to this, an opportunity has been created for an experienced and hands on Change Manager to support the ongoing strategic and transformation program of work. This role will be responsible for end to end change management; including the application of a structured change management approach and methodology including communications strategies and interventions. In addition, you will be responsible for the identification of people related risks and anticipated points of resistance, and associated mitigation strategies. You will identify training needs, develop and implement communication plans and deliver the stakeholder management plan. To be successful in this role you will have demonstrated experience managing change programs in complex and challenging environments. Your strong knowledge of change management principles and methodologies, teamed with your ability to work effectively at all levels are essential for your success in this role. Strong stakeholder management skills and the ability to establish effective working relationships, and superior organisational and project management skills are a must. 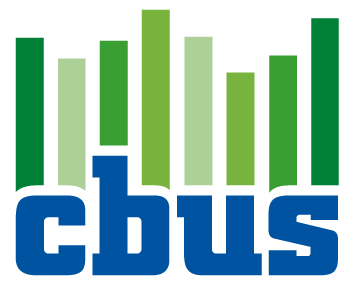 Like to know more about working with Cbus? Listen to some of our videos with members of the Cbus team on our website. You will also be able to download the full position description from website - www.cbussuper.com.au/about-us/careers. Cbus is one of Australia’s largest industry superannuation funds and the national industry fund for the construction, building, infrastructure and allied industries. Established in 1984, Cbus provides superannuation benefits to over 780,000 members, has assets over $48 billion, and accepts contributions from more than 139 000 employers. Agencies, please note: All Cbus vacancies are managed by our internal Talent Acquisition Team. Should external assistance be required we will reach out to our preferred agency partners, Thank you.